Tivo's latest DVR brings a software overhaul and voice search, but it still feels tethered to the past. As time goes by, TiVo gets harder to love. 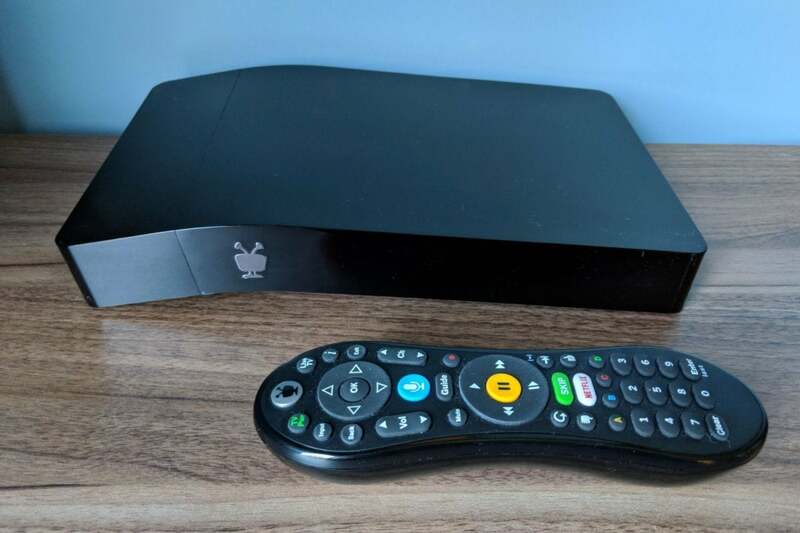 The cable-box DVRs for which TiVo serves as an alternative are becoming more sophisticated, with modern interfaces, voice search, and built-in streaming apps. Forgoing cable entirely is also getting easier, thanks to a proliferation of streaming services and new over-the-air DVR solutions. TiVo’s consumer hardware business is getting squeezed from both directions. But while TiVo’s recording capabilities are still second-to-none, and its integration with streaming services is still a clever idea, the Bolt Vox’s additions only paper over deficiencies in TiVo’s app platform and hardware. Despite the new software and voice search, using a TiVo Bolt Vox still feels like stepping back into a bygone era. The TiVo Bolt Vox has the same design as the old Bolt, with a rectangular enclosure that arches updward on one side. Around back, there’s a coaxial input, HDMI output, optical audio output, 3.5mm audio jack, e-SATA storage port, and two USB ports. (The USB ports don’t support external DVR storage, and the only e-SATA drive that works with TiVo sells at a huge markup.) A hatch underneath the Bolt Vox houses a CableCARD slot. The TiVo Bolt Vox has every conceivable port you might need. TiVo is selling three versions of the Bolt Vox. 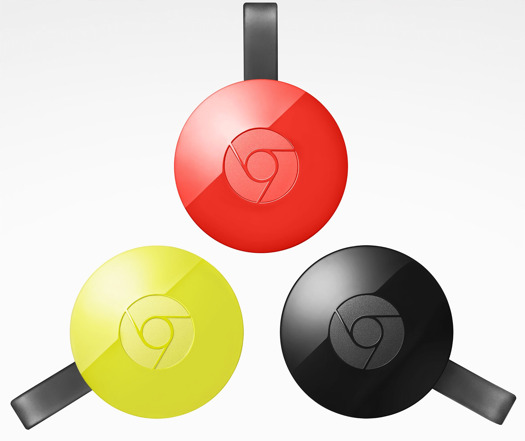 The 500GB model and 1TB models both have four tuners and cost $200 and $300 respectively. The 3TB model has 6 tuners for $500, but it only works with cable, not over-the-air broadcasts. In all cases, TiVo charges $15 per month or $150 per year for DVR service. There’s also a lifetime service option for $550, which is on top of the cost of hardware. One thing you’ll notice with the TiVo Bolt Vox—at least if it’s sitting out in the open—is that it’s constantly whirring. Noise emanates from the unit whether it’s recording or not, whether the TV is on or off, and strangely even when the TiVo itself is on standby. It’s not a major nuisance, especially from 10 feet away, but it’s a reminder of how unobtrusive fanless streaming boxes and sticks are by comparison. One might say the same of the TiVo Bolt Vox remote, which remains a hefty tool loaded with buttons, some of which you’ll seldom press. 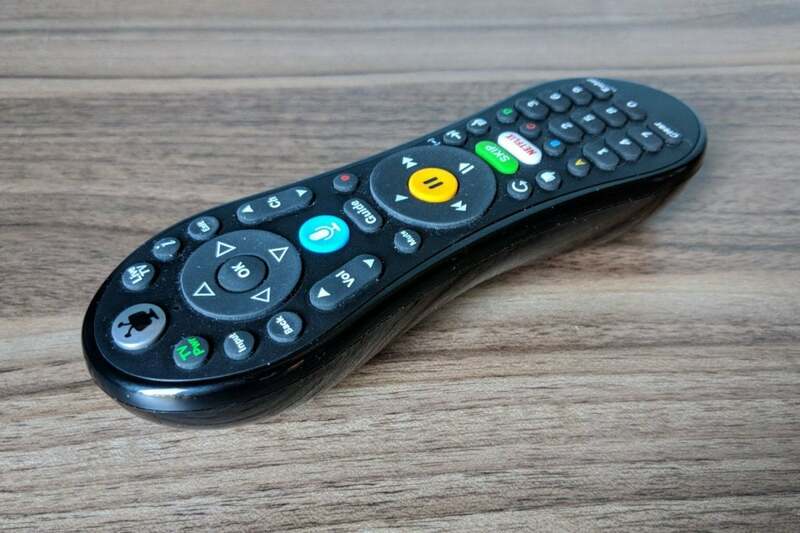 The main differences from the regular Bolt remote are the new voice search button (more on that later), a Netflix button, and a dedicated button for TiVo’s existing ad-skipping feature. 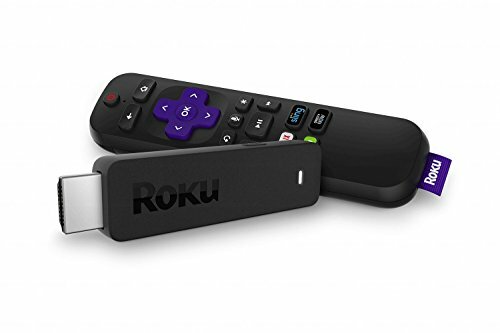 Cable subscribers will likely feel at home with the setup; but again, those who’ve grown used to streaming players like Roku and Apple TV may recoil at the remote’s chunkiness. The Tivo Bolt Vox remote borrows more from cable boxes than modern streaming devices. 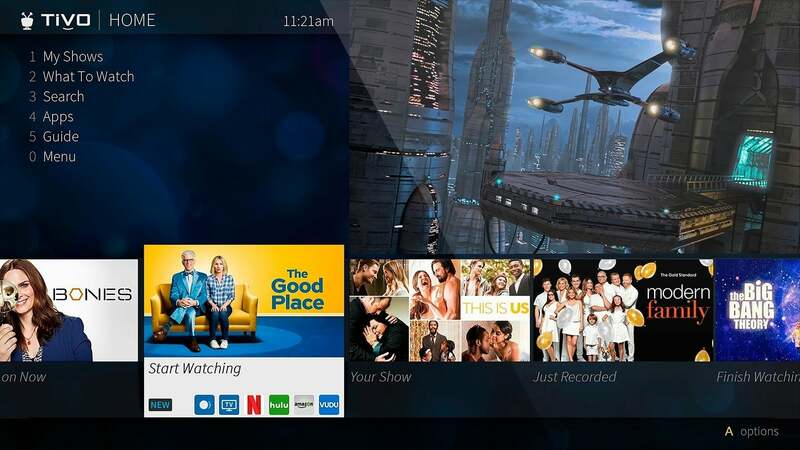 The Tivo Bolt Vox’s biggest new feature is its software, previously codenamed “Hydra” and now just known as the New User Interface. It’s pre-loaded on the Bolt Vox, but existing TiVo owners have the option to upgrade as well. TiVo has given its UI some much-needed streamlining. The new software strikes a more modern look, trading rounded rectangles and color gradients for sharp edges and solid colors. It’s also more visual, often letting you scroll through thumbnail images instead of plain text. More importantly, it provides a much-needed streamlining to the menu system. The main menu now has three content sections—“My Shows” for recordings, “What to Watch” for recommendations, and a launcher for third-party apps—plus a search function and a settings menu. 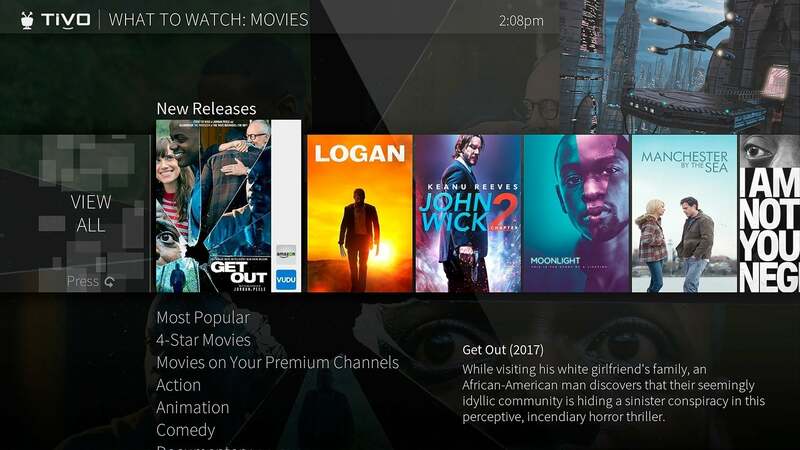 The What to Watch menu is especially useful, creating a unified TV guide out of various channels and streaming services. There’s also a strip of quick recommendations at the bottom of the screen, based on what TiVo thinks you might like. 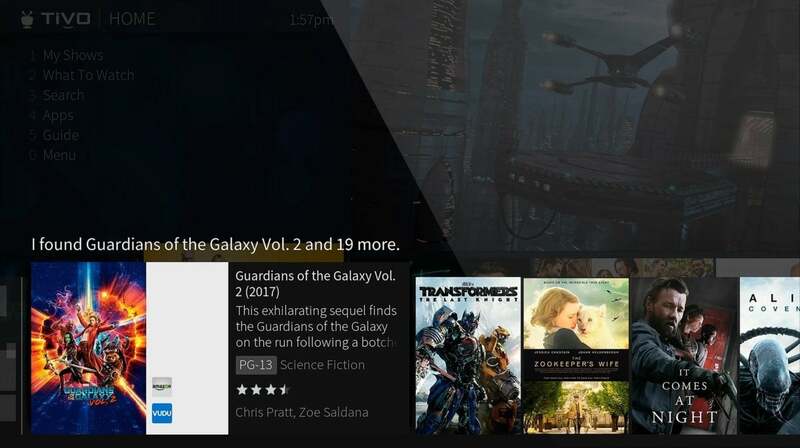 The “What to Watch” menu pulls upcoming programs, recordings, and streaming video into one handy guide. Voice commands are helpful too, letting you jump around the menu system and search for titles, actors, and directors. The remote seldom failed to understand me, and search supports complex queries like “80’s comedies” and follow-up questions like “Just the ones with Rick Moranis.” You can even filter the results to only show content from Netflix, Amazon, or Vudu. The only downsides are that search doesn’t work with all streaming services—HBO Go is a major omission—and you can’t search from inside a third-party app. TiVo’s voice search is accurate, and understands complex queries. TiVo’s software still has some rough patches. Transitions and animations tend to be choppy compared to modern streaming boxes, and TiVo’s ribbon menu concept—in which rows of image thumbnails appear as you scroll through a column of menu text—can be disorienting compared to fully image-driven apps like Netflix. There’s also no apparent way to browse shows by genre while filtering out results from streaming services. And most annoyingly of all, TiVo always reverts to playing live TV when it’s left alone in a menu for too long. It really ought to revert to standby mode instead. Beyond those gripes, I imagine some TiVo enthusiasts will be dissatisfied with design changes in general, and with some particular things like the replacement of the old dual-pane TV guide with a more traditional grid. But on balance, the new interface is a major improvement, eliminating sources of confusion and helping the actual content shine through. But where are the apps? It’s all the more tragic, then, that TiVo’s streaming app support is still lacking. Although TiVo offers most of the basic streaming services, including Netflix, Hulu, and Amazon Video, it doesn’t support any streaming channel bundles, which cord-cutters might want to supplement over-the-air channels. The platform has MLB T V, but not NBA League Pass or NHL TV. CBS News lacks the live anchored coverage that’s offered on other platforms, and neat new streaming apps like Pluto TV and Hoopla are also absent. 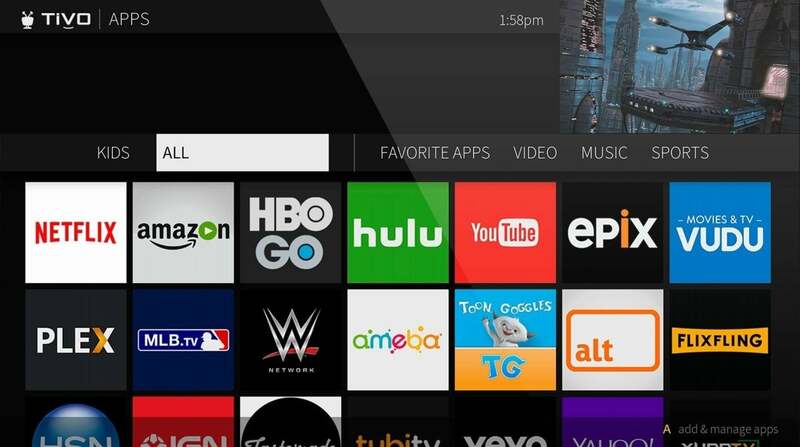 Aside from HBO Go, pretty much every TV Everywhere app is missing from TiVO as well. A fresh coat of paint doesn’t hide the fact that TiVo’s app catalog is stagnant. You know an app platform has problems when Flixfling and Ameba are near the top of the list. The TiVo Bolt Vot is still a great DVR at its core. It allows users to get granular with their recording preferences, for instance by keeping only a certain number of recent episodes, avoiding recordings in standard definition, and customizing start and stop buffer times. It’s easy to weed out scheduling conflicts through a dedicated menu, and with four tuners in TiVo’s base models, conflicts should be rare to begin with. TiVo’s OnePass feature, which lets you view recorded and streaming episodes of a show from a single view, remains a nice touch as well. But without a vibrant app scene, the TiVo Bolt Vox still doesn’t work as an all-in-one entertainment box for the streaming age. Cord-cutters in search of consolidation should instead look to broadcast DVR solutions that are built to run on streaming boxes, such as Tablo, Plex, Channels, and HDHomeRun. 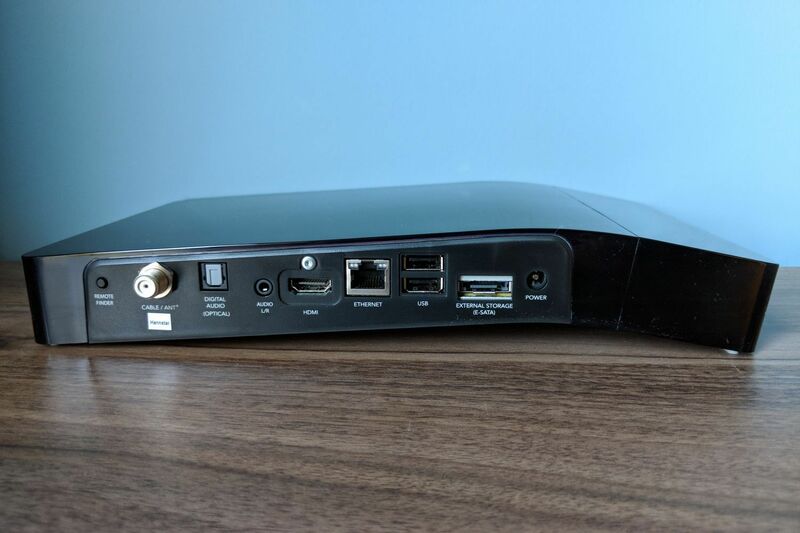 The existing TiVo Roamio OTA is also still a decent option for a single television, provided you don’t mind switching inputs when it’s time to stream. The TiVo Bolt Vox will mainly appeal to diehard cable subscribers who might not mind the investment in TiVo’s hardware and services. But as more people give up cable TV in favor of antenna channels and streaming services, the squeeze on TiVo seems unlikely to let up.